While anecdotes of giving birth in traffic aren’t terribly uncommon, Bridgette Crumley got to experience the miracle of birth in an especially place: on the shoulder of a busy highway in Dickson, Tennessee. The terrified mom and her family received help, however, from a police officer who showed up "like an angel". When her daughter, Isabella, began making her entrance into the world too rapidly to make it to the hospital in time, Crumley’s husband, Bryan, pulled over on highway 46 and dialed 911. Crumley describes the incident, being in the middle of labor while packed into a car with her husband, three-year-old son, and mother-in-law, as a “scary” one. 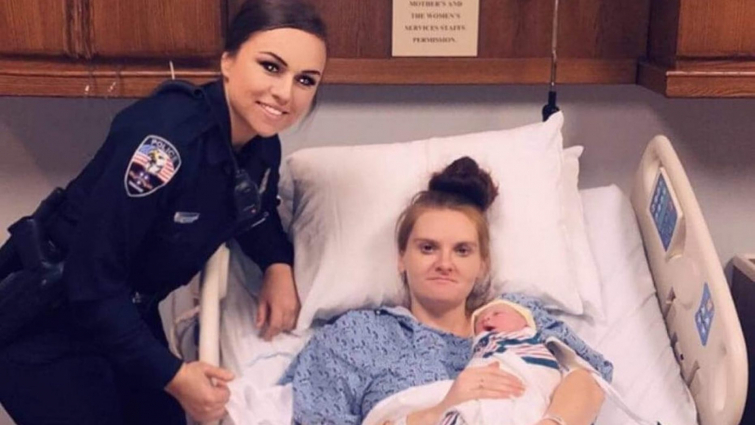 With a lightning-fast response time, however, City of Dickson police officer Sierra Reprogal arrived on the scene to lend a hand to the terrified mom. The Crumley’s baby girl was delivered safely and found wrapped in her mother’s arms when EMS arrived on the scene. “[Isabella] is absolutely gorgeous and Bryan and Bridgette Crumley did soooo good!! You both are unbelievably strong! It means so much that you guys decided to add my name to her beautiful name,” she added. "Thank you for that!"